What Is Good Academic Standing? To be “in good academic standing” means that a student is eligible or has been allowed to register for and undertake academic coursework at the college for the term in question. All students not on academic probation are considered to be in good academic standing and are eligible to participate in extra-curricular activities.  Any Buffalo State undergraduate student with a cumulative GPA of 2.0 or above, on academic warning, or on academic probation is eligible to register for coursework at Buffalo State. Graduate students should refer to the Graduate Catalog or contact the Graduate School to learn more about good academic standing at the graduate level. Any undergraduate students—freshman or transfer—whose first-semester GPA is less than 2.0 and who have not met any other terms for academic dismissal will be on Academic Warning in their second semester of study at the college. Notification of this academic standing will be emailed to students' Buffalo State email accounts. Students on Academic Warning may be ineligible for financial aid based on failure to meet federal and/or state aid eligibility standards. Follow the directions included in all letters and emails sent regarding how to address being on Academic Warning. Attend all scheduled appointments related to your Academic Warning status and complete all action steps (e.g., academic petitions, college service referrals, reduction of work hours) that are required to help you return to good academic standing as quickly as possible. Failure to attend Academic Warning meetings or follow your Academic Warning semester plan will factor into any future Buffalo State dismissal decisions that may be needed to be made. First-semester undergraduate students whose GPA is less than a 1.0 are subject to dismissal from the college, but may choose instead to participate in our First-Semester Recovery program. Students who opt in the First-Semester Recovery program agree to participate in an intensive academic warning semester with required intrusive advising appointments and mandatory academic skill-building activities in order to quickly return themselves to good academic standing at Buffalo State. January 16, 2019 at noon is the sign-up deadline for students who were offered the opportunity to participate in the First Semester Recovery program based on Fall 2018 grades. Click here for more information about the First Semester Recovery program. Note: Students participating in the First Semester Recovery Program may be ineligible for financial aid based on failure to meet federal and/or state aid eligibility standards. FSR participants who are aid awardees should address their financial aid matters and/or secure alternate funding methods prior to the start of the upcoming semester. Undergraduate students whose cumulative GPA is less than 2.0 after the second semester of study at Buffalo State are not in good academic standing and may be placed on Academic Probation, but they may also be dismissed if they meet any of the criteria for academic dismissal. Notification of this academic standing will be emailed to students' Buffalo State email accounts. Students on Academic Probation may be ineligible for financial aid based on failure to meet federal and/or state aid eligibility standards. Follow the directions included in all letters and emails sent regarding how to address being on Academic Probation. Attend all scheduled appointments related to your Academic Probation status and complete all action steps (e.g., academic petitions, college service referrals, reduction of work hours) that are required to help you return to good academic standing as quickly as possible. Failure to attend Academic Probation meetings or follow your Academic Probation semester plan will factor into any future Buffalo State dismissal decisions that may be needed to be made. Buffalo State does not guarantee a probationary semester for students. Notification of this academic standing will be emailed to students' Buffalo State email accounts. Students who were dismissed at the end of Spring 2018 but did not submit a dismissal appeal may participate in the Fall 2018 dismissal appeal process. Please review the dismissal appeal form for details on the dismissal appeal process and note that completed dismissal appeals packets are due by 10 a.m. on December 17, 2018. Request for a Provost-level review denied dismissal appeals will be due by 10 a.m. on December 20, 2018. These requests must be submitted in writing and include justification for the request (i.e., new information/documentation that was not made available to the dismissal appeal board, procedural error). Students receiving a denial of their dismissal appeal should refer to their dismissal appeal decision email that will be sent on December 18, 2018 in the afternoon for details on the Provost-level appeal requirements. PLEASE NOTE: Although students may be successful in appealing their dismissal, they may still be deemed ineligible for financial aid based on failure to meet federal and/or state aid eligibility standards.